It supports the full 1080pat60Hz HDMI resolution. 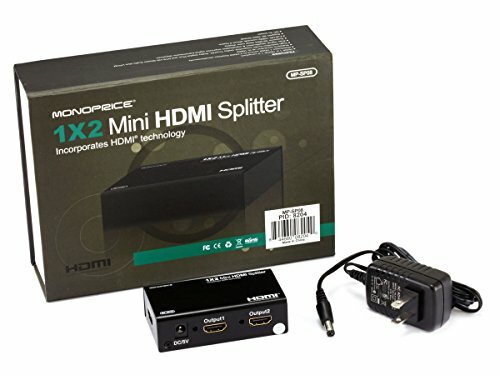 Watch your video content on two displays at the same time using this 1×2 HDMI Splitter from Monoprice! This splitter features a small footprint allowing it to be hidden behind your home theater equipment. It has a single HDMI input port and two HDMI output ports each of which are gold-plated to ensure smooth corrosion-free connections. 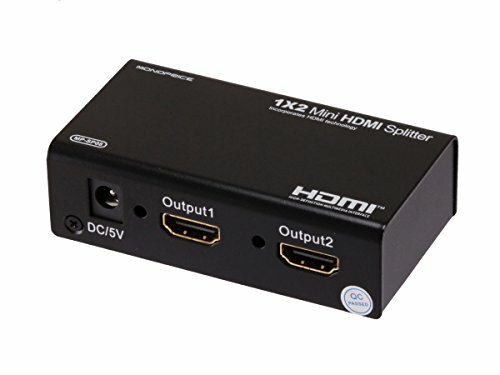 The splitter draws all the power it needs from the HDMI connection itself. 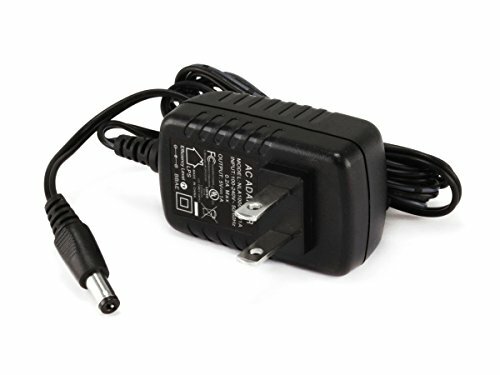 However an external 5 VDC power supply can be use d instead. The splitter supports High Speed HDMI signals which means that it supports the following HDMI features: 1080p Resolution – It supports the full 1080pat60Hz HDMI resolution. 3D Video – It supports all standard HDMI 3D modes. Deep Color – It supports deep color up to 12-bits per channel 36-bits total. High Definition Audio – It supports high-definition multi-channel audio signals including Dolby TrueHD and DTS-HD Master Audio. 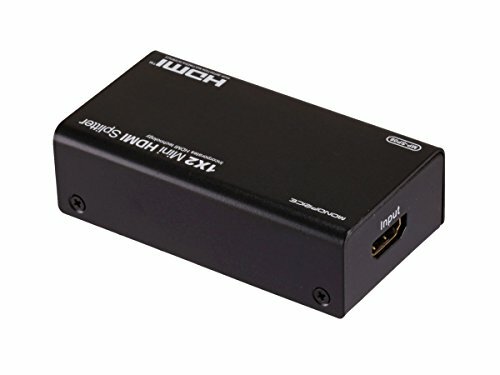 HDMI the HDMI Logo and High-Definition Multimedia Interface are trademarks or registered trademarks of HDMI Licensing LLC in the United States and other countries. DTS is a registered trademark and the DTS logos Symbol DTS-HD and DTS-HD Master Audio are trademarks of DTS Inc. Dolby and the double-D symbol are registered trademarks of Dolby Laboratories.